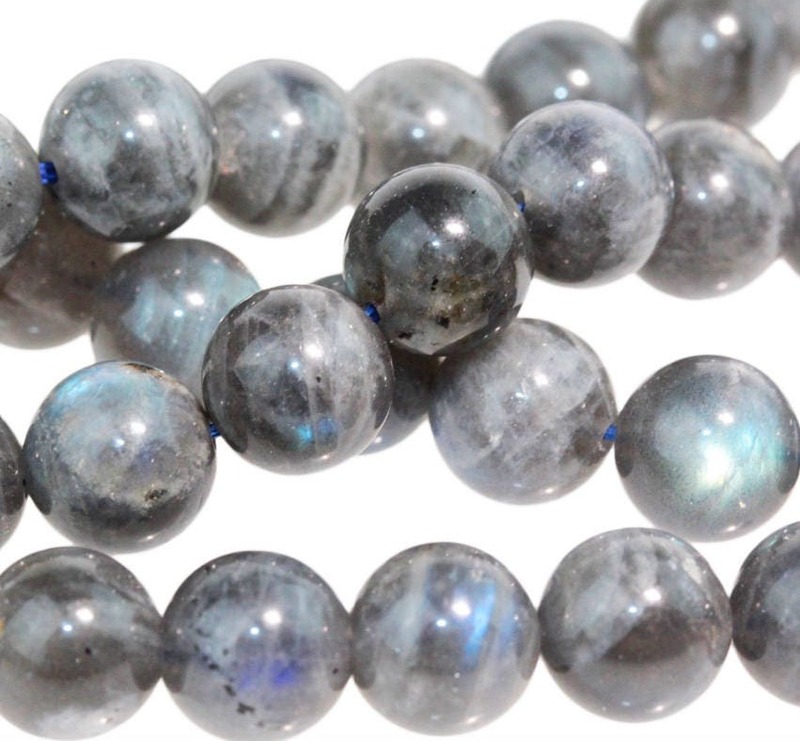 Labradorite 8mm round beads, approx 25 beads per 8 inch strand. Beautiful blue flash throughout. Some color and size variations possible. Labradorite is a plagioclase feldspar that emits a purple and blue fire or labradorescence (schiller) when the light hits it. Labradorite is said to detoxify the body and slow the aging process. Named for Labrador Island in Canada the first place it was discoved. Mined in Canada, Madagascar, the Ukraine, Australia, Mexico, Norway and the U.S.A.